Email is a mainstay in the marketing toolbox, but marketers need to continuously evolve their email tactics to cater to a changing audience. Join me in a leap forward into the future of email marketing in the 6th annual review of email marketing trends, changes, predictions, and constants. The new, 2019 edition is out! The Future is a moving target. So know that we made a newer, super updated, latest version with all the new 2019 email marketing predictions. There are some great insights below, but be sure to check out what the lastest highlights are of what’s happening right now in email and marketing automation. 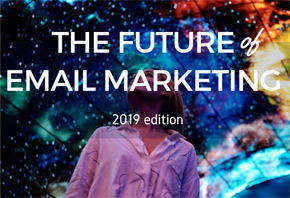 The 2019 future of Email Marketing. What will be the most interesting developments and trends? Ten industry experts came together on request by the emailvendorselection.com site and shared their views on what the future of Email Marketing & Marketing Automation will hold. Scott Brinker Marketers will rationalize technology stacks to achieve economy of architecture and Account Based Marketing (ABM) will remain one of the hottest categories. Pawel Sala Increasingly lower costs unlock a work-flow of data between web tracking, social media, BI solutions, CRM or ERP systems and email marketing. Making communication more personalized and relevant. Krzysztof Jarecki Artificial intelligence will take over campaign execution, especially for companies with large content libraries. David Raab Video is the up-and-coming functionality, easy creation will be accompanied by changes that make it easier to deploy and understand video content. Willem Stam E-mail systems move towards the data instead of other way around, senders will need more data-points to personalize communication that will drive user engagement. Benoît De Nayer Machine Learning will steer adaptive campaigns for smaller Marketing Automation platforms where AI will allow to continuously adapt campaigns to the individual customer journey. Tink Taylor Innovation will come from an explosion of machine-learning start-ups. For top-tier industry leaders, data is often in good shape, but it’s not all held in the same place. Assaf Ben-Asher Integration platforms are on the rise to extend the top marketing and engagement applications and increase service reach. Matt Hayes Iterative development on content automation in order to solve content production problems. 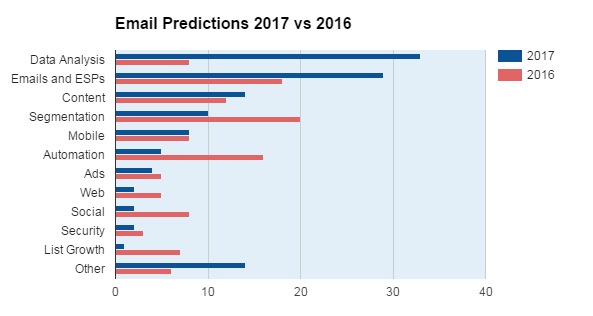 What happens if you read all the “Top email trends for 2017”, “Where is email headed in the year to come?” and “2017 email marketing predictions”articles out there? Gerald Marshall took the gamble and went through 134 email marketing predictions. My advice, don’t try this at home. And in one sitting, you’ll have a 100% chance of information overload! The top 4 for 2017 are in the category data analysis, emails and ESPs, content and segmentation. The other big winners this year are email design and improved ESP platforms followed by video content and AI-assisted segmentation/ personalization. AI is have email data analysis for lunch. The data analysis category includes artificial intelligence and bots with nearly half (15 of 33) of the category predictions dominated by that type of smart tech. 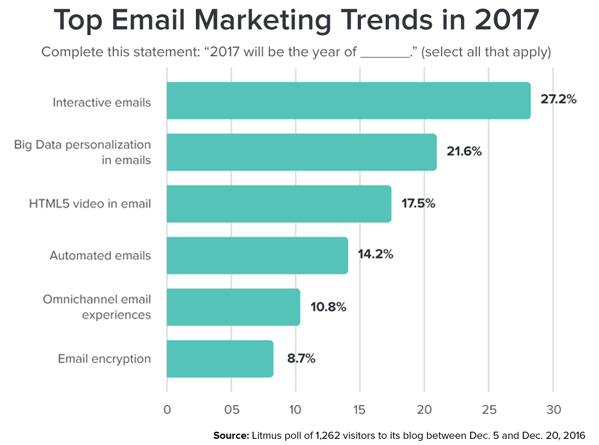 Litmus asked 1.200+ marketers to rank the biggest email marketing trends for 2017. Chad White provided the context as Litmus’ research director and industry trend hawk-eye. The research shows that marketers are betting on Interactive email, Big Data personalisation and HTML 5 video in email to break through in 2017. Email interactivity pulls some of the interactions from the landing page into the email. You can think about, for instance, Hamburger menus and other navigation, Carousels, Image galleries, and sliders, Offer reveals and Add-to-cart functionality. By allowing more interactivity inside the email, it has potential to reduce barriers to engagement. It produces clickers with higher intent. The two biggest issues that still hold back adoption are 1: technical challenges around implementation and 2: Tracking and attribution changes. Translating Big Data into actions for email marketers starts with breaking down data silos across channels. this means connecting the dots – which is no small technological or political feat. Marketers have embraced personalization driving most of the content in emails. However, Big Data personalization is so complex and involved that it’s never likely to be a huge trend in any particular year. Instead, it’s probably truer to say that we’re in the half-decade of Big Data personalization. Video in email is straightforward and easy for subscribers to understand — and for that reason is likely to be a catalyst in making both marketers and email users more receptive to other forms of interactivity. With the launch of iOS 10, HTML5 video support is back! As of November 2016, more than 53% of emails were opened in Apple email apps justifying trying it as long as there is a fall-back for subscribers with email clients that don’t support HTML5 video. Marketers know the importance of automated emails. At some brands triggered emails, like welcome emails and cart abandonment emails, already generate the majority of email marketing revenue. The outsized productivity of such a small percentage of email volume presents huge opportunities for brands to better engage subscribers. More trends? Read the whole article including quotes from the experts on the litmus blog. The following word cloud is the result. The biggest changes in the coming 5 years gravitate around Personalisation, Data, Automation, Devices and Content. Roland Pokornyik agencies will be forced to bring the creative spice and become fluent in Automation, otherwise advanced DIY (do It Yourself) tools will be eat their lunch. Pawel Sala Integrated systems and data makes that triggered emails will fill in a larger share of email efforts and a be a big driver behind positive email marketing ROI. Matt Hayes Content Automation is the must have for marketers to save time and personalise at scale. Must-have innovations will come from 3rd party platforms and agencies. Krzysztof Jarecki The Chatbot Space will impact email and marketing automation. You might be subscribed to a Chatbot in the near future. With APIs making integration between email and chatbots seamless. David Raab Strong movement towards channel-independent data and decision systems. making it easier to share resources and coordinate customer treatments across channels. Fabio Masini Demand for on-premise and Hybrid email (MTA) systems grows due privacy concerns and wishes for data control. Benoît De Nayer No more BYOMT (Bring Your Own Marketing Technology). Market Consolidation will accelerate, while new players enter the game. Jordie van Rijn ABM will start to appear in every (B2B) platform. Tink Taylor Migration back from the single marketing suite to a connected marketing stack. Kath Pay Specialist 3rd Party suppliers are on the rise, adding to the services provided. Gerald Marshall Productising AI will affect email marketing agencies and brands. Scott Brinker Account-based marketing (ABM) and the rise of “Smart Outbound” as a counterpoint to inbound-only. 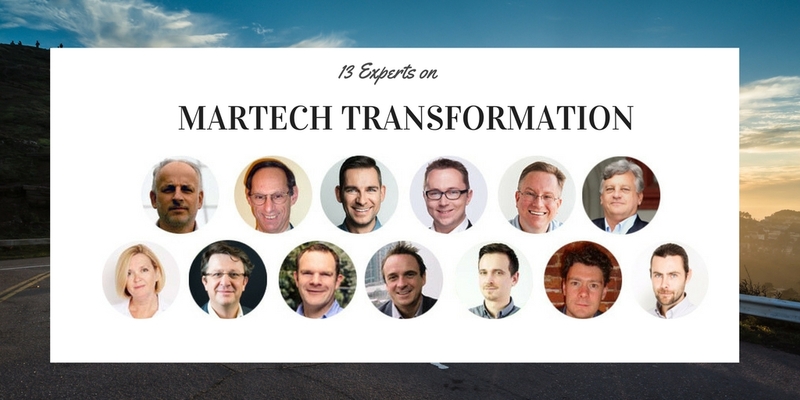 Read the full article with all the MarTech prediction trimmings here: 13 Experts on MarTech transformation of the email and marketing automation industry. What are the most interesting trends that could play a bigger part in your email marketing strategy in 2017? Email marketing experts Krzysztof Jarecki, Aleksander Heba and Adam Ambrożewicz from Expert Sender discuss it in their Email marketing trendbook 2017. Customer behavior can already trigger automated emails. Expect chatbots to start doing the same. They’ll run automated workflows; send confirmation emails, abandoned cart emails, create newsletter sign ups, all personalized with data from the chat session. Mobile phones are now the most common devices to access emails. According to 2016 research, the sweet spot for email length was between 50-125 words for optimal effect. With less space and minimal attention spans, expect email content to get shorter. Are you looking at me? Eye-tracking was mainly used for websites, but is now being used for testing email creative. It uses focus groups with real end users. Thanks to more affordable hardware, it’s now possible to run fast and inexpensive email eye tracking tests. There’s going to be a whole lot more emails using contextual data, in real-time. Content will be based different sources including for instance geo-location, device, weather, time, (twitter) trends and stock levels. Based on real-time variables the emails will be generated at moment-of-open (not send). More businesses choose to have integrated models that are employing Machine Learning and Artificial Intelligence to generate lead scores automatically. This is what we call predictive lead scoring. A predictive intelligence layer on the top of the marketing automation we will hear more about in 2017. Keep it real, be honest, don’t take yourself too seriously, write like you talk, ask questions that encourage your customers to respond. A casual conversational tone will help your customers better relate to you and by extension to your brand, thus, creating a personal connection. Segmentation and personalisation produce better-targeted emails but are often too time-consuming. We crave a way for content to be matched with our customers automatically. With so much data and content, marketers will look to machines for content matching. Channel data silos are going to be less prevalent. We’ll see behavioural, demographic, contextual and transactional data used across campaigns to give us a single customer view. Push emails with the right content with right timing to always-on devices. The heart of (email) marketing remains the same. It is about providing customer-centric experiences. Don’t expect 2017 (or 2018… or possibly ever) to see technological perfection for getting the right message/person/time combination. So how is this mantra translated into the reality of the day? Tim Watson shares his 5 trends to act on. Capturing user interests with preference centres is dead. Brands not using behaviour in 2017 will be brands stuck in the past. I expect to see more medium sized brands of scale adding behavioural driven content blocks, such as recommended items. Permission is getting stricter; what marketers can do with data is going to be more tightly regulated. Within the next two years, the requirement for unambiguous consent looks like it may end the practice of pre-ticked check boxes for email permission during a purchase. Many brands already have some automation included in their email programmes. In 2017, they will be supplementing existing email activity and blending in automation programs to add to their broadcast activity. A few adventurous brands will try out innovative approaches to decisioning of what emails to send to each contact. Indiscriminate and illegally sent email has been beaten, the bar is rising on standards for B2B brands to get to the inbox. Poorly permissioned, third party permissioned or sending on opt-out basis is going to be an increasing challenge for B2B. Seed list based inbox monitoring tools no longer give usable inbox placement results. The trend of email list bombing we have seen at the end of 2016 is going to lead to more use of reCAPTCHA on subscribe forms and double opt-in processes. Expect to see the trend for use of animation and video to continue in 2017. The key is to make the animation support the message and capture imagination, not just add a pointless decorative element. 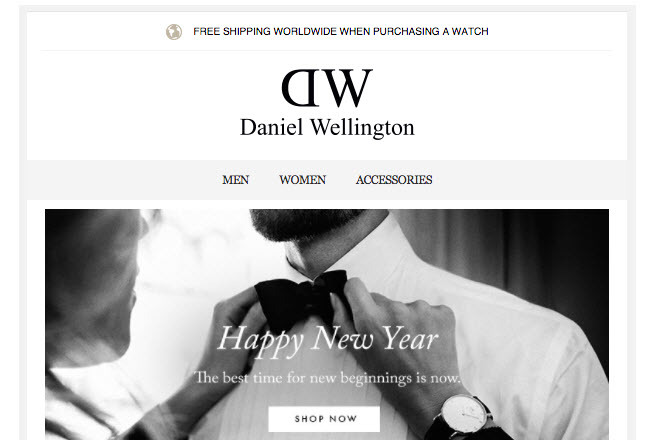 Some brands experiment with interactive emails featuring push the envelope – email design techniques, such as creating carousel elements, hamburger menus, and interactive features in their emails. However, these design innovations still are largely unproven in value. 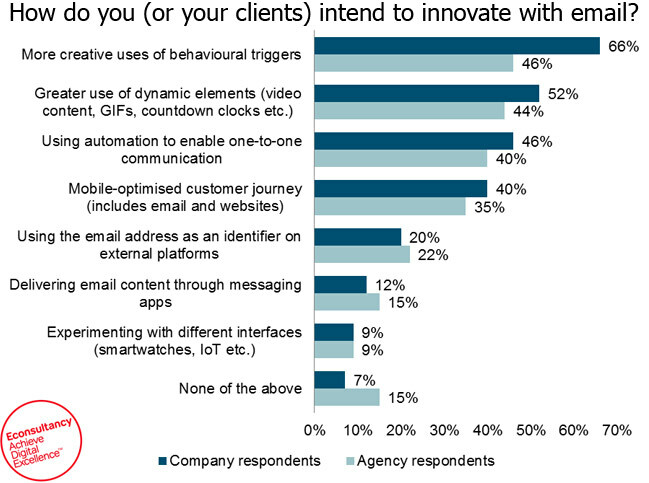 According to Econsultancy research companies intend to innovate their email marketing this year with more creative uses of behavioral triggers (66%), greater use of dynamic elements and marketing automation to reach one-to-one communication. Agencies expect to see a bit less innovation for their clients, except for content messaging apps and the use of email as identifier on external platforms. Such an identifier can be used for for instance retargetting or profile enrichment. Chad White of Litmus: Data-driven marketing will rule. Data science is making email marketing smarter by powering better automationand personalization. But It isn’t “set and forget”, Marketers will zero in on the data points and behaviors that lead to value. Alex Williams of Trendline Interactive: Mobile payments will come to inboxes. A native, fingerprint-based integration for inboxes on mobile that will allow 1-click payment from email in 2017. Matthew Smith of Really Good Emails There will be a revolution in email design. With sets of modular templates and meaningful content components. Less time will be needed in the design of emails. Focus will shift to creating more meaningful content rather than constantly designing and creating the “container”. Daniel Codella of ZURB There will be an evolution of marketing automation. With more options to fine tune automated campaigns like advanced segmentation and time optimized sending. Secondly, there will be more g pre-packaged customer journeys to help move the needle. Andrea Wildt of Campaign Monitor: Behavioral data will help marketers dominate their competition. As consumers welcome smart devices into their homes and lives, marketers can integrate consumer usage data like sites visited, apps downloaded, or games played. Jordie Van Rijn of Email Monday Email: Marketing is reinventing itself by acknowledging Person + Profile + Purpose = Performance. I think this is profoundly influenced by tactics advocated in B2B marketing automation. It is changing how everyone (including B2C) looks at their audience value. I think we will see a rise of (predictive) lead scoring and matching. Ros Hodgekiss of Campaign Monitor: As we see email further integrate with other marketing and analytics platforms, I predict that more marketers – and not just engineers – will be able to determine ROI, but also see how email is influencing repeat purchases, renewal rates, feature adoption and more. Josie Scotchmer of Mailjet declares this year’s theme “Start practicing what you preach”. Not a bad idea. In her post Email: the trends for 2017, she encourages to get the basics right, stop talking about what you’re going to do and start putting practices into action. Let’s take that as a five-step program. Every year we talk about personalization, yet so many marketers still think this ends with adding a first name to an email. Yikes! To connect with your contacts by taking a look at your data, to find true segments and personalize our messages based on the needs of each segment. To be truly great at brand storytelling, you need to first understand your customer journey. An evocative story is both true to your company and your customers’ lives. Use the story to uncover the hidden treasures you have in your product catalog. Marketing teams tend to govern marketing emails, whereas transactional emails often sit under IT departments. The space within your transactional emails can help you to connect your customers with their wants and desires. Even if they didn’t know they wanted it. Give your transactional emails the same brand feel as your marketing emails for a consistent experience. Wow, 48% of SMBs are not using any form of marketing automation. Artificial Intelligence (AI) is getting smarter and more intuitive, so, yeah, 2017 is the year to put your faith in technology and trust the machine, especially for capturing them when they are in the moment. By now, you’ve mastered crafting beautifully responsive emails (well, hopefully anyway). So let’s make your subscribers love them, by making them interactive. Perhaps you’re looking to increase conversions, allowing your customers to shop directly in the email. Read the whole article here on the Mailjet blog. 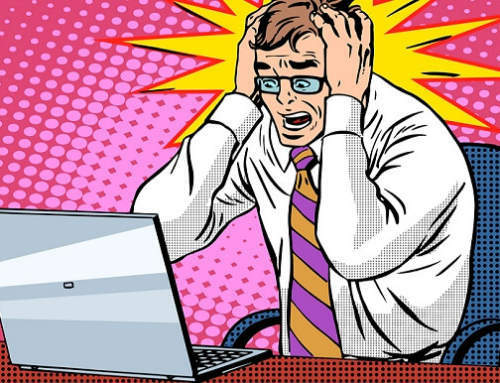 Bulk email marketing dies (It’s nearly dead now). Small businesses can no longer hammer inboxes with impersonal email. Email marketing will keep growing. Right now, the number of emails Infusionsoft sends on behalf of our customers is growing faster than the growth of our customer base. This means more emails per customer year over year, which reveals a continual high demand for email that we expect only to increase. Small businesses won’t be able to compete in the email marketing space on their own. Any business that wishes to compete must use automation software. Seamless CRM integrations will allow for a focus on personalization, powerful reporting, and improved sales. Small businesses will be able to implement highly sophisticated marketing campaigns without having to understand how they work. The automation will be that good. The year 2020 used to sound so distant, but now it is right around the corner. Email marketing will be as important as ever, but it will also become increasingly difficult. Small businesses working with ESPs will be able to take advantage of all the powerful new tools and resources that the future holds. Research showed that consumers respond well to brands that get the basics right. As a result of optimizing the basic elements, the adoption of automation will grow. This technology currently isn’t being fully used. Optimizing from the ground up with be vital in 2017, so evaluate the basics you configured many moons ago. Finally, cat videos in our inbox! Email marketing content can be more interactive, it can be more engaging and start to reflect more and more what a website can display. And don’t forget real-time optimization and functionality like including live shopping carts in the email. Trust is important. Make sure your existing marketing practices are compliant because the GDPR will come into effect May 2018. By taking an active stance on this, you can truly demonstrate the value and respect you have for using and storing their data. It’s never too late to start building trust. Email marketing has now got to a place where the majority of a design can be dragged and dropped. Modular designs mean less time is spent on designing the email. Designers are still needed to build your library of partials – no matter if they are locked in a cupboard or not. Read the full article with all resolutions: 10 Email Design Resolutions for 2017. Is your Email Marketing manager already a Director of Essential Engagement? Len Shneyder shares why the future of email marketing is already upon us, although the rules of email marketing are still about to evolve in ways we won’t even notice until well after the fact. Companies must have the vision to realize a logical step as personalisation of each message and say goodbye to Batch-and-Blast like Pinterest did. But what about Big data and Artificial Intelligence? Unlike Ultron, this AI will want to sell you something. At the close of every year, the email marketing gurus of Striata get together and discuss their predictions for the year that lies ahead. Mia Papanicolaou – Interactive email will be huge and everywhere (with increased support for CSS), email will start to mimic our online experiences. Sheryl-Lynn Omar – Emails and digital content that adapt to a user’s age will take relevance and user experience to another level. Stergios Saltas – Less use of stock images. ‘Real’, ‘in the moment’, ‘slice of life’ type images are going to appear on email and websites. Alex Papadopulos – More synergy and dialog between the email designers and the email applications. Changes to Outlook and Gmail lead to a better inbox. Ross Sibbald – Going forward it will be about the quality of the customer’s experience within the communication and not the quantity of emails you send that will differentiate you. Adam Q. Holden-Bache – we are now seeing a shift towards using data to predict what a recipient wants, and delivering that to the inbox. In the coming year, marketers plan to focus on building a better email marketing program mix and better messages. But it is more interesting to hear what email marketers are not saying when talking about their strategy and plans. There’s been quite a bit of transformation for email in recent years. April Mullen, strategist at Selligent, lists a wave of changes for our beloved email channel to watch out for. The customer journey will become a crucial focus. Customer experience will be the single most important attribute that brands live or die by, and your role as an email marketer will be to develop programs that touch various parts of a consumer’s journey with your brand. Reporting will begin to shift from campaigns to consumers. Deeper development of customer journeys will bring a change in how marketing efforts are evaluated. Brands will look at the effect their marketing orchestration has on individual customers. Delivering to messaging apps will become apart of an email marketer’s job. Apps are the new inbox opportunity to send hyper-focused, opt-in promotional messages and service notifications. And email marketers will be tasked with developing the strategy and executing these programs as they are direct marketing experts. Shared IPs will become more prevalent. 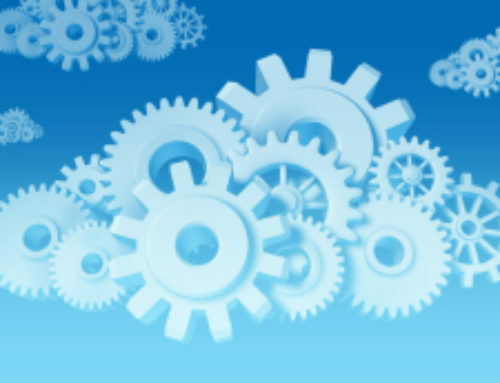 We may start seeing major email service providers/marketing clouds offering a shared IP option to clients of all sizes. With major changes in recent years in how reputation is established, dedicated IPs aren’t as critical as they once were. We’ll see leaders test in-email conversion buttons. Given that email is a universal app with a lot of flexibility, one-click conversion technology is ripe for someone to implement it. What brand will be the first? I can’t wait to see it hit my inbox. Laura Atkins of Word to the Wise: We must start treating deliverability as a valid way to measure our campaigns. Not because failure to reach the inbox means our campaign has failed, but because we can improve inbox delivery by improving our marketing. Scott Cohen of InboxArmy: You’ll see the embrace of address collection and the channel in everything marketers do. Greater investment and resources will be devoted to email as the channel will get its due as the hub of digital marketing and customer communication. Guy Hanson of Return Path: Subscribers are more likely to provide a primary email address when they trust the sender, and over 80% of all email reads are generated from these addresses. Jaymin Bhuptani of Email Monks: The use of innovative elements like Hamburger Menu, Accordion, Carousel, Search, Slider, Rotating banner, Flip effect will catch momentum and enhance user experience. 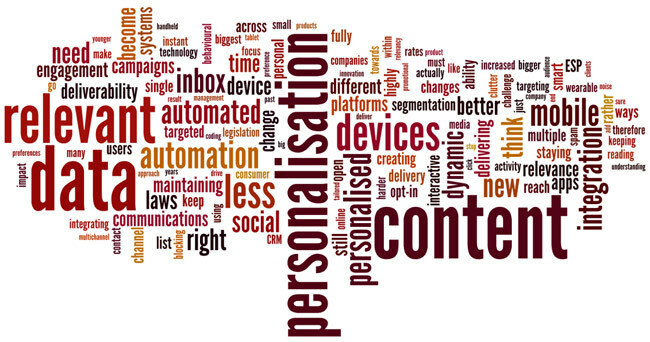 Kath Pay of Holistic Email Marketing: Email marketers will increase their use of personalization, automated lifecycle programmes and intelligent testing to deliver an improved customer experience and reap the rewards accordingly. Jordie van Rijn of Email Monday: Pull content, products, and information from your site or database into the email. Add a bit of logic and segmentation (no AI needed) and you have the foundation for a homemade recommendation engine. Jenna Tiffany of Communicator: It’s important to get the basics right because this is what consumers want and voted Amazon as the brand that does email best. For Amazon, it’s not about just including the latest tech, it’s about defining a clear email strategy that optimises the customer’s journey. Rob Allen of Smart Insights: Marketers will turn product emails into ‘micro-stores’ where customers are able to do more than just look at a list of product options. That means more engagement and better conversion rates. Pawel Sala of FreshMail: With the relatively lower costs of big data technology, it seems that finally we will be able to see comprehensive ecosystems with the work-flow of data between web tracking, social media, BI solutions, CRM or ERP systems and email marketing. Read the full article, #emailchat 140-character style, here. 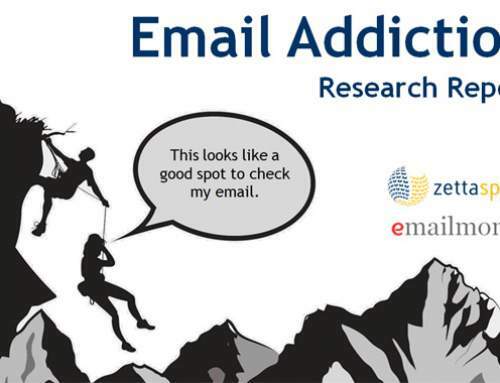 The fundamentals of email haven’t really changed in the last 10 years, in truth, Elliot Ross of ActionRocket doesn’t expect a sweeping change to happen and a lot of innovation is in improving boring things. But one day… So what is the direction we would like to see it go? There are some amazing things able with hyper personalised email, but only after we know when and where to use it. And the ESPs makes it simple..
Fixing the email production process. The process of making a marketing email, from managing it to producing content to QA to personalisation, is disjointed and inefficient. Fixing this will enable everything else. A focus on brands and experiences, not tech. If we use technology to improve our emails, it’s imperative that it improves the experience — so we need to think in those terms. Technology for the sake of it achieves nothing. Aside from tweaking the design, what do we really think about when it comes to mobile email? Mobile changes the entire experience, also because so much of it is shaped by social media cues. Marketers should be careful not to rest on their laurels when it comes to this “oldie but goodie” marketing tool and keep up with changing trends. Email may be a long-established communication format, but today’s email marketing strategies can’t afford to be old-fashioned. The rise of mobile means all age groups are using their smartphones to check email, with Millennials leading the charge. Marketers should experiment with sending emails in the early morning or late at night for this audience subset. Brands absolutely must think mobile-first or risk alienating the users that live and breathe with mobile. Email marketing can work in tandem with larger campaigns across channels. If you’ve got a great campaign happening on social channels like Facebook or Instagram, email can further describe the campaign with supplemental, relevant details. When targeting email for Millennials especially, brands should take their cues from social. Optimizing emails for great visuals and using emojis strategically will appeal to an age group that increasingly relies on visuals to communicate. “In 2016, we experienced a surge in use of interactive emails, more mobile-friendly and email automation, and a loooot of emojis”, says Kevin George from the Email Monks. So, what should email marketers look forward to in the coming year? The struggle to STAND OUT in the inbox will accelerate; all you need to do is think out-of-the-box. 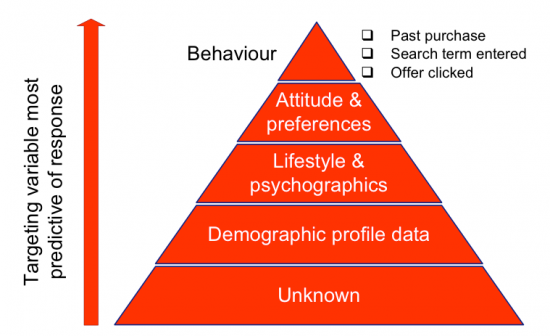 Beyond the regular profile-based segmentation. Now make it more contextual, individual. What time of the day do your subscribers generally open your emails? Some like higher frequency while some like just a few and specific type. Understanding the interest of the person you are sending an email to is the need of the hour; it will help you segment better. Personalization will now surpass the basic stage. Algorithms applied to behavior of subscribers will help to find out what they will do next. Geo-targeting can prove useful in delivering custom branding offers to subscribers. Demographic, firmographic, behavioral and psychographic data can together help in building a buyer persona, a trend that is likely to pick speed in 2017. It will thus become quintessential for email marketers to think mobile first; there is no option but to create responsive emails (single column template is the best solution). The content of the email, too, should be written with mobile users in mind. Sending emails about the campaigns you run on your social channels like Facebook can supplement your marketing efforts in 2017. Another trend is the use of live social media feeds in your emails. Channels like Instagram, Twitter, and Facebook. This way, you reach out to a broader audience, making sure no one misses out on any of the fun. Interactivity has already made a grand debut and it is the future of email marketing. Innovative elements make today’s emails truly engaging and helps to offer more content compressed in a short and user-friendly format. GIFs have brought that fun element to emails. Video is bound to make a comeback in 2017. Thanks to Apple’s iOS10 supporting videos in email. 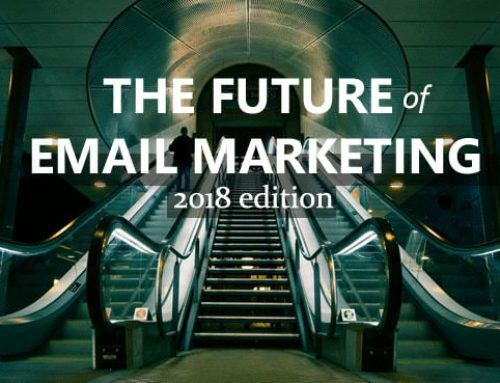 What is the future of email marketing? Expect nothing to change with email in 2017, until marketers start acting on the trends and rethink their email strategy. 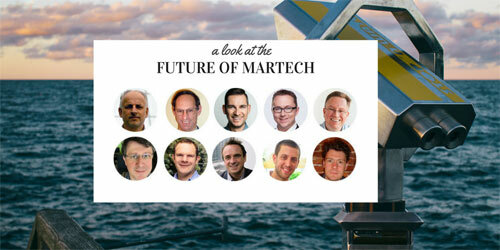 Ryan Phellan hopes to see more marketers become “first-person” marketers. For these active marketers, he crafted this must-do, must-look-into topics list based on his predictions and trends for 2017. 1) In 2017 more email marketers choose first-person marketing. System, budgets, company structures and internal politics often won’t allow to make big leaps. So first-person marketers work hard for incremental changes. Change one thing at a time and build on that progress. Each customer is an individual, and every email gets them closer to marketing to their customers as individuals, not just another email address in a database. 2) First-person marketers will focus on wearable devices. Don’t obsess about email rendering on a smartwatch. Mobile devices are all about notifications of information rather than the information itself. Marketers need to figure out what customers expect and perceive information. What will eventually evolve the email industry is how the consumer uses that information. 3) Marketers will catch up to mobile-first consumers. The first-person marketer will look at how their customers consume information, not just if they did. We are in the mobile-first age; maybe even mobile-only. Email proofs on our desktop computers, we’ll look first on phones to see rendering and behavior. For email marketers, the issue has gone beyond using responsive design. Developing metrics and KPIs for mobile is what’s important. 4) Global privacy comes to the forefront. The “private right of action” of Canada’s anti-spam law goes into effect in July 2017. Individuals and government agencies can now initiate complaints. Marketers will start reviewing their data gathering and protection practices to comply with the EU’s General Data Protection Regulation, which goes into full effect in May 2018. The privacy debate is important to trust and relationships with their customers and subscribers. Keep these email trends in mind to guide budget and planning of your email marketing strategies in 2017. Six current and continuing trends. More companies will use emerging technologies to better automate the creation, distribution, and management of email content. Email automation is expected to help save businesses time and money. With machine learning, marketers can mine data more effectively. These tools are key for everything from email automation to better personalization and targeting. Chances are that your target audience will access their email via mobile devices. This means your emails need to be optimised and easily readable on a mobile device. Yes, visual content is super important in email marketing too. Document a well-researched visual storytelling strategy around the ongoing delivery of valuable information through visual media. Integrate your email campaigns across channels. Email is a great tool for supporting campaigns on social and other channels. From subject line to the body copy. It is all about compelling, creative content that tells a story about your brand and your products and services. Orchestrate sees email coming back with a vengeance. Cognitive of the benefits of email marketing they predict what they see as the trends email marketing is most likely to follow in the year 2017. The rising adoption of responsive email design is increasing the conversion rates on smartphones. Automated emails become important to address the need for a better personalised customer experience. Innovation in triggers for automated emailing make campaigns more timely and relevant to the subscribers. Integrating email marketing with CRM and ERP will bring that elusive one-to-one communication with customers closer. Modular templates make running campaigns much more accessible and can drive adoption of email automation. Drag-and-drop technology will make email marketing simpler and more convenient. Kinetic email makes it possible for marketers to develop engaging and eye-catching campaigns that are much more distinct a recipient’s inbox. By applying machine learning and data mining, marketers can use their email marketing toolkit to improve results and drive profits. The Future you can’t put in a bottle and keep forever. We made a new-new, super updated, latest version with all the fresh email marketing predictions for 2019. These were some great insights, but be sure to check out what the lastest highlights are of what’s happening right now in email and marketing automation. 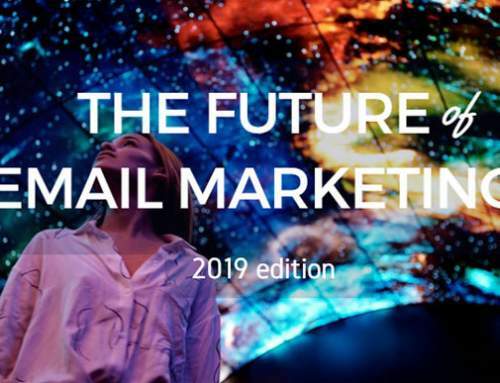 Read on for the 2019 future of Email Marketing.